Dark Sky Films today announced the official release date of VICTOR CROWLEY, the surprise fourth film in the fan-favorite Hatchet franchise. The film will be released on VOD, Digital and Blu-ray and DVD on February 6, 2018. Kept tightly under wraps for over two years, the slasher reboot unexpectedly debuted this past August. 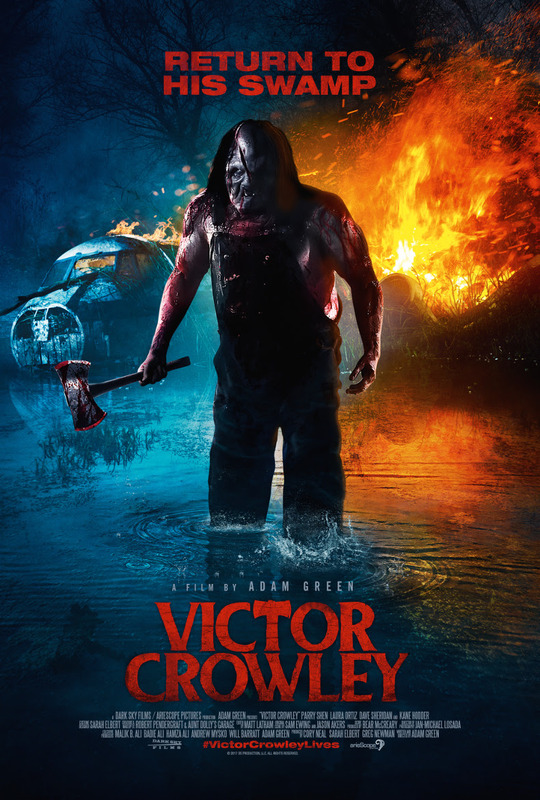 The highly anticipated release was shown in theaters across the country in October as part of the "Victor Crowley Road Show."